There’s no need to compromise on quality when you drive home in a used car from Mazda of Escondido. We have plenty of used Mazda vehicles in stock, as well as plenty of other pre-owned makes and models. 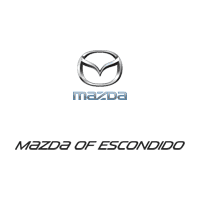 We carefully inspect each vehicle for quality, so you know your next used car will be up to the high standards of Mazda of Escondido. After you’ve perused our used inventory online, make your way to our dealership in Escondido for a closer look. Due to our varied stock of popular pre-owned options, we’re confident that you’ll find a model you love within your budget. Have questions? Feel free to contact us about our used inventory at any time before making your way from San Marcos to take a test drive. Still on the hunt for the perfect used Mazda? Explore our certified used Mazda inventory!